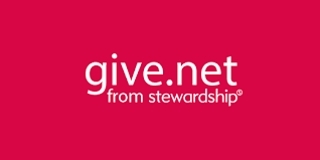 What form of giving is most helpful for the church? The most helpful way to support Christ Church Bromley is to set up a monthly Standing Order with your bank - they will then process your gifts each month automatically in accordance with your instructions. This saves you time, means that you don’t forget when life is busy and, significantly, it helps the church with its financial planning. Pick up, or request, a Giving Pack from the Church (available from the Information Point). You can then easily set up a standing order using your online or telephone banking by quoting the Bank Account and Sort Code details provided. You can decide to donate to either (or both) the Bromley Christian Workers Trust or main Christ Church Bromley accounts. NB. The majority of initiatives and most members of church staff are funded via the Bromley Christian Workers Trust (BCWT). If you are a UK taxpayer, please also complete a gift aid declaration (further details below) to enable us to increase the value of your gift by reclaiming the basic rate tax on your gifts from HM Revenue & Customs. The Old Testament required God’s people to give 10% of their income and most churches around the world would expect something like that level of commitment. Yet the New Testament doesn’t impose any law - it is matter of freedom - we can give less or more as an expression of our gratitude to God (although we are, materially speaking, very well-off compared with the rest of the country and the world). What if I set up a standing order and my circumstances change? You can change or cancel a standing order at any time. Therefore, if you receive a pay increase or a bonus, you can increase your standing order using your online banking or by writing to your bank. Likewise, if you face redundancy or a period of reduced income, you can cancel your standing order or reduce your monthly donations. If you can, please let the Treasurer know about any changes as that will help him keep track of your giving and keep his budgeting in order. How often should I review my giving? Most Christians will want to increase their giving each year if that is possible. You will probably find it helpful to review your giving a couple of times a year (perhaps in April and in October) to check whether it is sustainable and whether it could be increased. What if I am a tax-payer? If you are a UK tax-payer, then it is vital that you complete a Gift Aid declaration and return it to the treasurer. Once you have done so, then every time you make a gift to the church, we will be able to increase the value of your gift by claiming back income tax from HM Revenue and Customs (HMRC). For example, if you give the church a gift of £1,000 together with a gift aid declaration, we will also be able to claim back £250 from HMRC. Therefore, the cost to you will only be £1,000, but because of the tax back, its value to us will be £1,250! These tax refunds form an important part of the church’s annual income and so please make sure that the church doesn’t miss out! If you are a higher rate tax-payer, then please note that we can only claim back the basic rate portion of tax. However, when you complete your annual tax return, you should be able to reclaim the higher rate portion of tax from HMRC which you might then choose to donate to the church. We can only benefit from the Gift Aid scheme if you complete a declaration and so please download a Giving Form now (see link on right of this page), print the form, tick the box, complete your details and return it to us. Can I speak to somebody to get more advice or more information? Our Treasurer will be pleased to speak to you in confidence. He can be contacted via email by clicking here. You can help raise money for Christ Church Bromley while you shop online and all at no cost to you! We’re signed up to The Giving Machine as The Bromley Christian Workers Trust. This website works by taking a commission from retailers for purchases made when people go to a retailer via their links. This commission is then donated to a charity of your choice. The size of donations varies but is typically a small percentage of the purchase price. You’ll pay the same for whatever you buy but the percentage the retailer would have otherwise given to an advertiser will go to Christ Church instead. If you’re a UK taxpayer you can also opt to add gift aid to your donation which increases its value by 25%. If you’re someone that shops online please consider signing up to this service and choosing The Bromley Christian Workers Trust as the cause you’d like to support with your donations. Then all you have to do is to remember to go to The Giving Machine before making a purchase and click their link to the retailer you’re buying from – almost every major retailer is listed. You can even earn a donation when you switch energy or broadband provider!